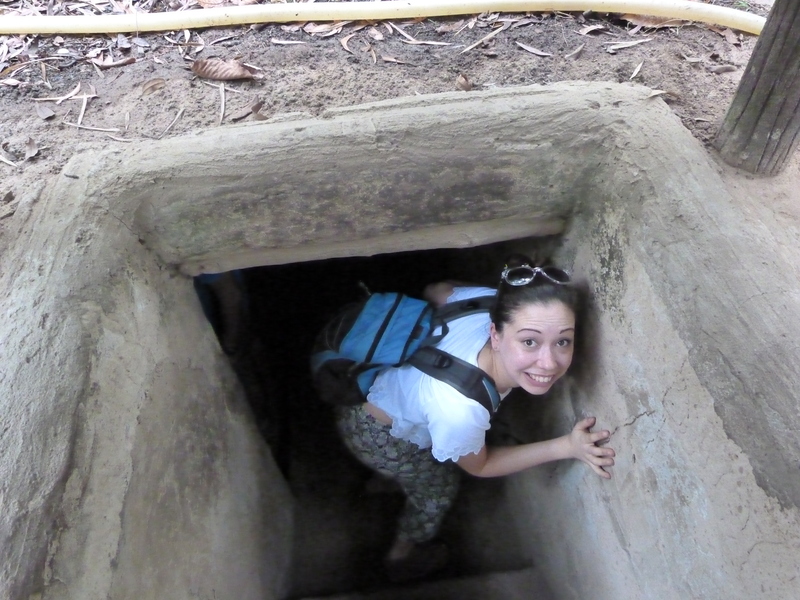 The hotel organised a trip to the Cu Chi tunnels for us before we arrived. We were picked up at 8am in a people carrier and driven to the tunnels. This took about an hour and a half. We stopped on route as I think all tours do at a centre where handicapped people make crafts to sell. There was no pressure to buy. Our tour guide was brilliant. He talked all the way to the tunnels, pointing out various landmarks and points of interest and telling us lots about the culture and history of the city. He seemed to have a slight obsession with KFC and kept talking about fast food. Once at the tunnels he sorted all the tickets and in we went. He showed us round and gave us so much information. I could hear other guides talking and ours definately gave us a lot more detail. The trip cost us $15 each which included transport, the guide and entrance to the tunnels. The tour company were called Happy Tours. The tunnels were really interesting. Despite going all that way to see them I did have a minor panic when I actually tried to go into one of the tunnels! They were so small and involved crawling through a gradually narrowing dark hot tunnel with a group of strangers! Happy Tours dropped us off at the War Remnants Museum back in the centre of HCMC. Entrance to this museum was only 15VND. It was a really interesting museum mostly consisting of photographs. The most disturbing were photos of people affected by Agent Orange. 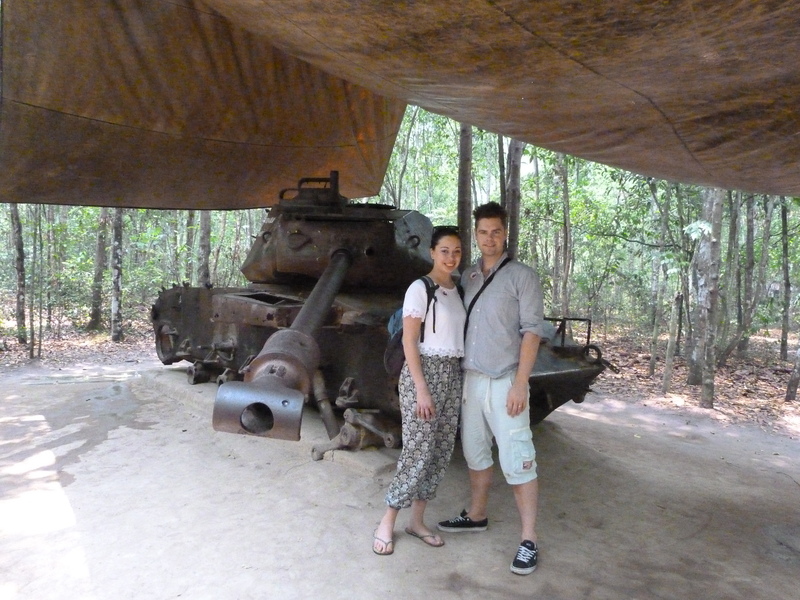 I didn’t really know much about the Vietnam War before this day so both the tunnels and the museum were very interesting. We had our first slight disaster after our visit to the museum. There were several taxis waiting outside the museum so we approached them and told them the name of the hotel. None of them knew where it was. We had no map and had no idea where the hotel was on the map they showed us. Whoops. We walked away but were chased down the street by a taxi driver who insisted he knew where the hotel was. We agreed a price of 170 VND and hopped into the taxi feeling relieved. As we drove around I did start to feel a little nervous as I didn’t seem to recognise anything. He pulled up outside a hotel and pointed at it saying ‘Ruby River’. Wrong hotel! We tried to explain to him that it was ‘BLUE river’ not Ruby River. He started driving again and made some calls obviously trying to find someone who knew where the hotel was. Eventually we pulled up outside a Blue River Hotel…but not our hotel. We remembered that there are 4 Blue River Hotels (Blue River 1, 2, 3 and 4). We tried to explain that this was the wrong hotel but he just kept pointing and repeating ‘Blue River’. Deciding the best thing to do would be to just get out and ask the hotel where the other hotel was and walk we got out and I handed over the money to the driver. He counted the money and started shaking his head. It took a while to understand the problem but it turned out I’d got a 10,000 note muddled with a 100,000 note and we were 100,000 short. The poor guy. There was nothing we could do. That was all our money and as we were not actually at our hotel we couldn’t go in and get more money! I felt terrible but we had to just walk away. I tried to explain that we had made a mistake but we weren’t actually at our hotel but I don’t think he understood. We learnt two lessons that afternoon. Always make sure you have a map with the location of your accommodation highlighted and always check your money when using unfamiliar currency! Previous Post We are back! 5 things I miss about South East Asia. 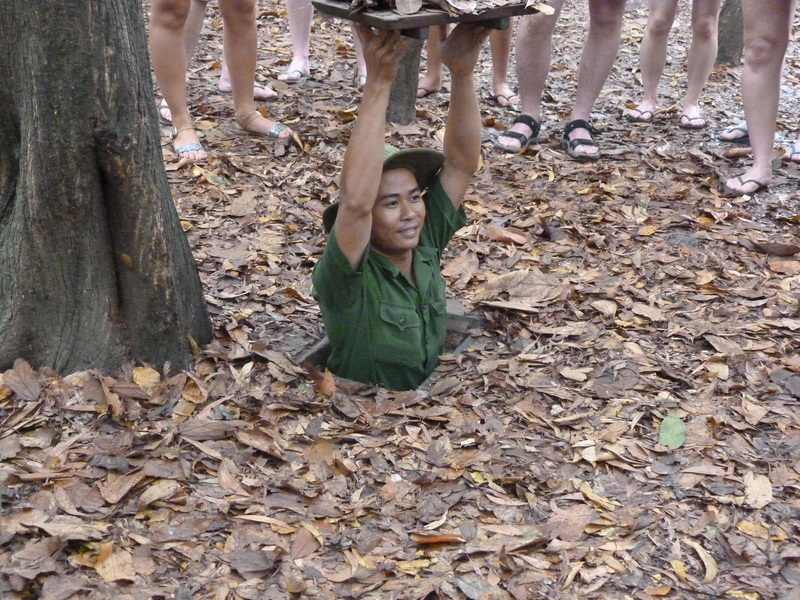 Next Post Ho Chi Minh City…haggling, helpful hotels and horrifying roads! Good tips! Sometimes cab drivers can screw you over so it is always good to know (or at least act like you know) where you are going. lol 🙂 Side note: your outfit is super cute! Thanks for your comment! Yes! We def learnt that about can drivers and tuk tuk drivers! Happy travels to you too!